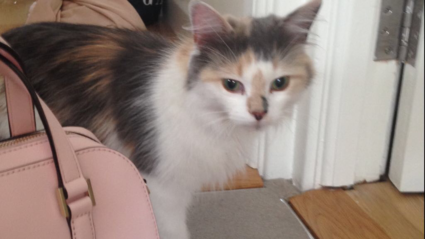 Female small tortoiseshell calico cat aged 3-4 years old found in Clontarf. Not micro chipped. Friendly, but a little nervous & pining for her home.